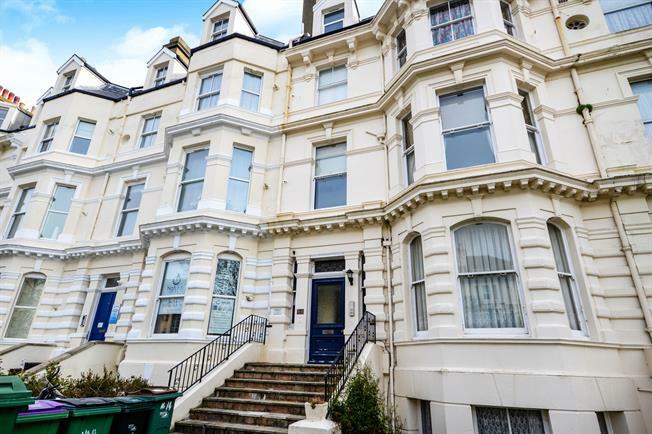 2 Bedroom Flat For Sale in Folkestone for Asking Price £190,000. This flat is beautifully presented and in a brilliant location. There is a spacious living room with a large bay window at the front to allow the light to flood into the room. Master bedroom is a good size with fitted wardrobes, and there is a second double bedroom, modern kitchen and bathroom. This flat is ready to move into, and is being sold with a new 125 year lease and no forward chain.